As summer progressively becomes a period of dashed hopes for prolonged interludes of sunshine, it’s undeniable that at this time of year, the colder weather is edging its way into our daily lives. Luckily, however, that doesn’t mean that your garden has to suffer. With greater rainfall, you can plant a number of flowers and vegetables that will flourish in the winter months – helping to lighten up those otherwise darker days. Originating from the tropical areas of Africa and South America, the Amaryllis can be grown in a number of vivid colours including whites, yellows and pinks. With a beautiful colour gradient from stem to leaf tip, if planted in September, the flower will be ready to show its splendour by the time November rolls around, and should a provide a wholesome welcome to your garden until mid-spring. Native to Central America, the Bouvardia can grow to almost 1.5 metres in perfect conditions, maturing into a stunning ornamental flower that is sure to bring attention to your gardening prowess. A member of the Rubiaceae family, the Bouvardia prefers either full or partial sunlight while bedded in an equal mix of clay, silt and soil, and will in return provide a year-round aspect of beauty to your patches. 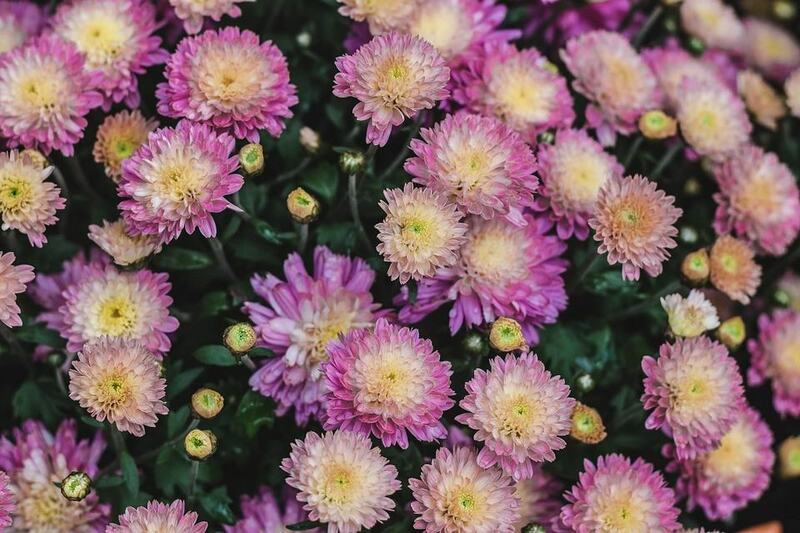 Although known to be a strong year-round flower, the chrysanthemum often reaches its peak from late summer through to early winter. 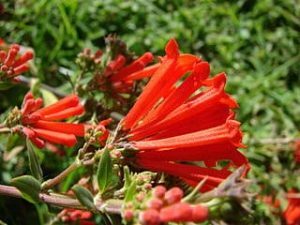 Cheap to buy as seeds or cuttings, the plant is also relatively low-maintenance as long as it is placed in a bed that is free-draining in a sunny or partially shaded location. The flower itself has been grown throughout the Far East for over 2,500 years and is known for its visual prominence, often standing out from other less brightly coloured garden additions. 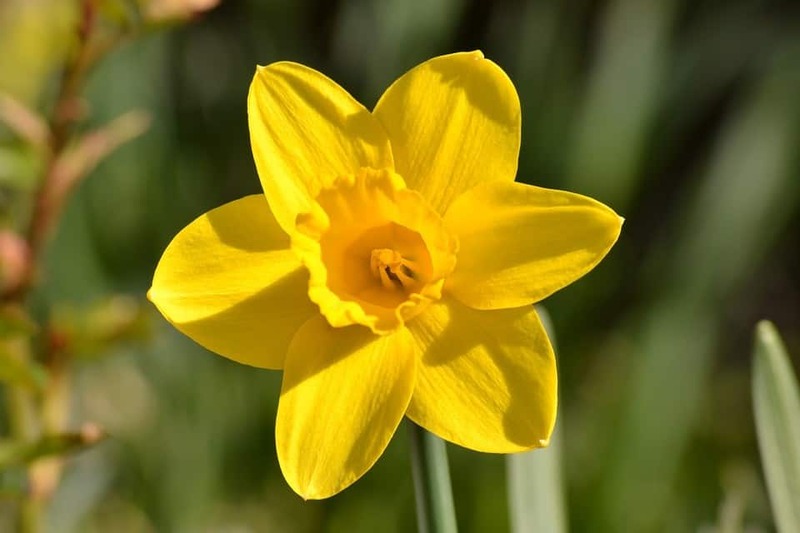 The national flower of Wales, daffodils are known to bloom from November through to early summer and are able to withstand the harsher winter months with little difficulty. A member of the Amaryllidaceae family and a popular choice for many gardeners in western and southern Europe, the daffodil will reward you with an array of bright, bold yellows. 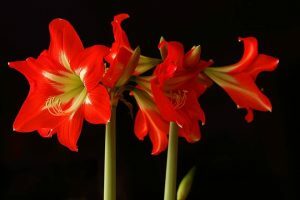 To give your flowers the best chance, ensure that the bulbs are planted at a depth of three times their own height to protect them in their delicate stages of growth. A classic for the autumnal months, broad beans are an exceptional choice to boost your vegetable patches for harvesting in early spring. Relatively impervious to the colder temperatures, they require little maintenance, but often benefit from a form of covering if you start to see a patches of heavy frost on the ground. Due to the height to which they can grow, broad beans also benefit from a little added stability and reinforcement in the form of bamboo canes to prevent them from collapsing under their own weight. A relatively fool-proof crop to add to your garden, garlic plants are not only a great way for inexperienced gardeners to get started, but are also extremely useful in the kitchen throughout the year for a range of dishes. Simply plant the cloves at a depth of 1-2.5 inches depending on the quality of soil at a distance of 15cm from one another and ensure that the soil itself is self-draining. With a huge range of seeds to choose from within the family, onions are a great choice for Autumn planting in order to gain a great crop in time for spring. Onions can generally be quite thirsty for nutrients, so be sure to add a little all-in-one fertiliser during the seeding process, and try not to plant too many in a single bed as this can lead to a stunted harvest. With a choice of shallots, spring, red or white onions for planting, however, they are one of the most useful vegetables to plant in September. Enjoying a resurgence as an ingredient in dishes from kitchens around the world at the moment thanks to its inclusion in ‘healthy’ and ‘leafy’ salads, spinach seeds planted around September should be ready for picking in early spring. Gardeners often get the best results when the seeds are sowed in full sunshine in soils that contain a lot of compost or manure thanks to the organic nutrients it can absorb – and remember to pick the results early to ensure a softer leaf thereby reducing the need for overcooking.